Whether you are leasing or purchasing, CG Incorporated will work with you and your company to select the very best office products. Fill out our estimate form with as much information as needed to help us understand what you are looking for and we will get back to you promptly to finalize a custom quote. CG Incorporated provides your business with the option to purchase or take out a competitive leasing program on any of our office products. For companies who are looking to use their products for a short period, leasing may be better option. 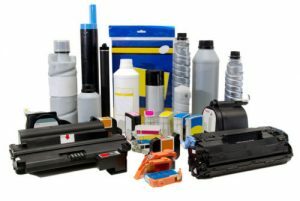 We have toner, drums, parts, and anything else you need from many top brands. If you have any questions concerning our products, services, or supplies, please feel free to contact us.